The Conoco Phillips Houston rodeo 10km run was on Saturday. It was a great opportunity to get in a race before the New York half. I finished first female with a time of 32:53. A new PR which I am pleased about. It has been a long time coming. My previous best was 33:08 on the track back in 2006. I was excited for the race however had developed a cough or some virus a few days before which always makes for a tough day. The goal was still set for sub 33 minutes however I was hoping to run closer to 32:30. I passed the first 5km in 16:12 and felt great. I thought I would have been able to keep this pace going however my second 5km slowed to 16:41. A couple of factors came into play in the second 5km. First I thought that the course would be pretty much flat all the way however the second half of the course was slower due to three overpasses (bridges) and a slight headwind. Also I feel I lost focus from 7-8km and did not push hard enough. Even though I was very happy with the PR, I was frustrated with myself as I crossed the finish line feeling as though I had not given everything. Overall a good day and tune-up race before New York half. Also this week I had to listen to my body. Sunday after the race I went for a run and afterwards my left quad was pretty sore and I was very worried about an injury especially with New York half right around the corner. Monday morning I went to see Dr. Lance Mclintock at Greenway Chiropractic here in Houston. He assessed my quad and performed active release. He thought there was a slight strain of the vastus medialis and advised me to cross train Monday and Tuesday. He also advised me that my glutes were not firing effectively and gave me plenty of exercises to help strengthen these areas. If this had happened last year I probably would have just gone and run hoping it would clear up. However I have learnt that even the smallest niggle needs to get looked at straight away to prevent the injury from getting worse. I am so glad I went to see Lance. I went back to see Lance on Wednesday and thankfully the pain has gone and I started running again. Still doing some cross training to gradually ease back to normal training. I will keep seeing Lance every other week to get active release and treatment to help avoid injury. I am also very thankful that my coach Ian Babe has so much knowledge regarding water running. I was able to switch over all my training in to the pool very effectively for the 3 days. Even though doing a 6 x 1200m workout, (which is normally on the track) or a 90 min run in the pool is not as fun you can definitely work just as hard and get your heart rate elevated. I am really excited for New York half and hopefully no more niggles or sickness. Also a big thank you to Mizuno for their continuing support. I just received a package of my favourite shoes (mizuno wave precision and wave ronin) and a new racing kit which will be great to wear in New York. Since the last blog so much has happened that I do not know where to begin. First off I will apologize for not keeping my blog updated more often. Also in my last post I said that I would research and write about altitude training as we were debating whether on going to train at altitude. However lately with the move and getting settled in Houston I have found it hard to find the time. My coach and I decided that now is not the right time to go to altitude before world champs. I have not spent extended periods of time at altitude to know what impact this would have on my body. Training has been going well at sea level. So for now I will stick with what I know works. However, in the future I would like to give altitude a try. We traveled to Brasil for one month which was a great experience. It was lovely to meet all of Gabriels family and introduce Lucas to everyone. I also enjoyed the yummy food especially the fruits!!! I have not wanted to buy mangoes, pineapples, peaches or even bananas since. We were in Sao Paulo most of the time but also traveled to Barretos and then to Bertioga beach. It was nice to be at the beach for Christmas and New Years. Lucas had a great time playing in the sand and sea as you can see in some of the photos below. Traveling during a build up I learned from this trip to Brasil is quite difficult (but definitely worth it). You have to plan a lot more than usual as you don't know the areas you can train. It ended up being quite time consuming trying to find a safe place to run, a pool and a gym. Most days I managed to stay on track with my planned schedule but had to learn to adapt. Another difficult part is not knowing the terrain. When we were at the beach for two weeks there was nowhere but the beach. I was a little worried how this would effect my body and hoped I would not get injured as the beach had a slight camber even when the tide was out. Each step I took my foot would be moving around alot more than usual even in the frim sand. This made it difficult to run as fast as I had planned but I just went by effort instead. Also I had to take about a week off while Brazil as I tripped over while running really bruising my knee. It was very swollen. I was lucky to find a good physio there who did lymphatic drainage on the area. This worked really well and luckily I did not need to take too much time off. On our return from Brasil we spent a few weeks in Ottawa before heading to Houston. Those two weeks were pretty tough for the running. There had been a few snow storms which made it impossible to run outside. However I became friends with the treadmill and found I really could push the pace and focus. After the trip to Brazil, having the time off from falling over, and then only being able to run on the treadmill for a few weeks made me very uncertain about what kind of shape I was in. I was worried that I would have lost fitness and with the half marathon in March coming around the corner I hoped this would not be the case. 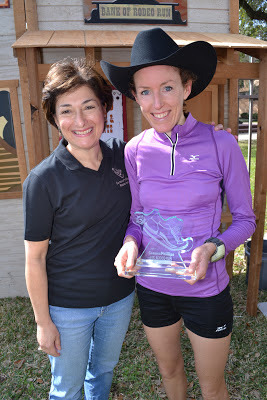 It was great to get to Houston and run outside on normal terrain and conditions and to my surprise my training level was even a little higher than when we left for Brazil. All my training since the Toronto marathon is geared towards the world champs in August. I am back running around 160km a week plus 5-6 hours water running in the pool and weights once a week. Training is feeling good. I have a few niggles here and there but overall I am pleased with how the training is going. I am seeing gradual improvements which is encouraging and motivating. I am racing the rodeo 10km this Saturday in Houston which I am very excited for. I am using this race as a tune up before the New York half on March 17. I will end with a few more photos from our trip to Brazil. I will update my blog every couple of weeks from now on. Happy running everyone . .